A coalition of farm groups wants Ottawa to give packing plants a $24 million annual subsidy to offset specified risk material removal costs that American plants do not face. The plea, first made in a late-October letter to agriculture minister Gerry Ritz, met with MP skepticism when it was presented to the House of Commons agriculture committee Nov. 3. 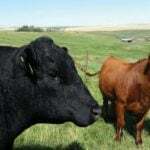 The request is tied to regulatory costs for SRM removal from carcasses older than 30 months. The demand is based on a Canadian Meat Council study that estimates the cost per head of older animal SRM removal at $31.70. Renderers told the committee their costs to move SRM material to landfills have increased. Before the regulations took effect, the material could be converted into products worth hundreds of dollars. 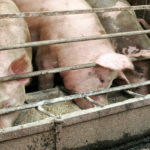 Canadian Federation of Agriculture president Laurent Pellerin argued that the country’s packing sector could be in jeopardy if government does not pay the cost of SRM removal. 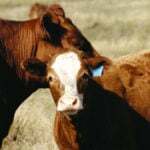 Packers cannot afford the cost and increasing numbers of Canadian cattle will be sent to American plants that do not have the same stringent SRM rules or costs. “The joke is that it is coming back on our own market here (as meat),” Pellerin told MPs. Conservative MPs noted that industry had agreed with the tougher SRM removal rules when they were implemented in 2007. There was little overt MP support during the committee for a subsidy to offset regulatory costs, although opposition MPs sounded sympathetic. XL Foods vice-president Brian Read said he had supported tougher SRM removal rules, thinking that it would give Canada a competitive market advantage over the United States that the Americans would have to match. Instead, the U.S. recently published an SRM removal rule that is much less stringent than Canada’s, leaving the Canadian packing industry with higher costs and a market disadvantage. “If somebody in Canada thinks that the U.S. will move towards our regulations, there is something unrealistic there,” Pellerin said. The meat council study concluded that the overall cost to the Canadian system of the SRM rule was far higher than the government originally estimated, based on partial industry figures. Instead of a government estimate of $9.4 million in SRM removal and disposal costs, the total industry cost is $35.6 million, the study said. It works out to $31.70 per head slaughtered. “With an estimated OTM (over 30 months) slaughter of 750,000 head, the program would cost approximately $24 million per year,” said an Oct. 27 letter to Ritz signed by the meat council, the CFA, the Canadian Cattlemen’s Association, Dairy Farmers of Canada and the Canadian Renderers Association. Ritz has not formally responded to the request for payments to packers. CCA president Brad Wildeman told the committee the best solution would be to work out similar rules in Canada and the U.S., but there is no prospect that will happen soon. “It is obvious to us that while the policy track works toward restoring the competitive balance, immediate financial assistance is vital,” he said.